At GSM Industrial we are always searching for ways to improve, not only for ourselves but for our customers as well. In order to help our company grow successfully and cater to increasing demand, we’re implementing an Enterprise Resource Planning (ERP) System. Our decision to implement an ERP System came from the need to provide our customers with clearer due dates that can easily be tracked as well as making our processes more transparent so we can provide more information in real-time. In the interest of transparency, we are excited to share with you what ERP System we have selected as well as our timelines and goals and most importantly the benefits you will see. We’re glad you asked! An ERP System is software that integrates management of business processes. The software works to keep data at the company’s fingertips by running in real-time and integrating applications across the business. It collects, stores, manages, and interprets data making it easier for our employees and our customers to get the information they need when they need it. Not All ERP Software is Created Equal. In October 2016, we began the search for the best ERP System for our business. We gathered a group of GSM Industrial employees from all business functions in order to review and consider multiple companies and platforms. After several months of evaluation and trials, we have selected Infor VISUAL for our ERP software with the implementation assistance of Synergy Resources. We believe that Infor VISUAL will give us the flexibility that our job shop and business model require by allowing us to work in both broad and granular terms when necessary. We anticipate that the implementation process will take around 7 months to complete. With Synergy Resources guiding us through this transition, we expect the process to be smooth and completed by year’s end. Once the ERP System is live, we can continue to build on and adapt the software to meet our changing needs well into the future. Our Goals for the System. 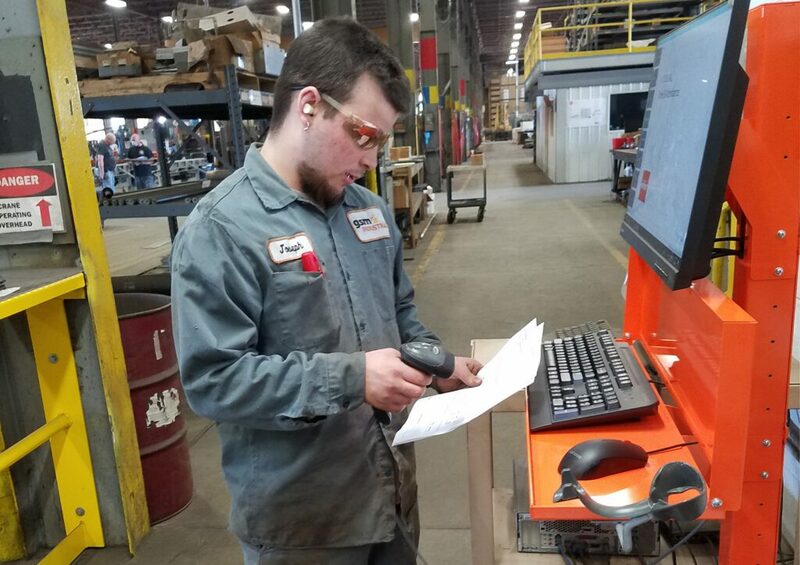 We will be using Infor VISUAL to accomplish the following: quoting, generating work orders, engineer/detailing for shop fabrication, scheduling, purchasing, receiving, shipping, and invoicing. This will bring all of our necessary processes onto a single cohesive platform that will support our growth for years to come. This system will help us provide our shop and customers with improved scheduling and forecasting, and better pricing and quote accuracy. Our customers’ projects are all unique. This software helps us create a systematic approach to handling the wide scope of data necessary in managing those projects – while improving velocity and increasing capacity. Customers will see better overall communication and, ultimately, better results. It always comes back to the customer for our team here at GSM Industrial. We consider your needs before making any changes to our business model or internal processes. By implementing an ERP System, we will be able to provide a clearer and more systematic approach to tracking your “want dates” and due dates. We will also be able to track the progress of fabrication in the shop more closely. Making the process more transparent and providing you with real-time information when you need it. We know that as a result of implementing this Enterprise Resource System, GSM Industrial will be able to provide an even better quality of work, valuable savings, and as always, timely project completion. With this new system, we hope to set an even higher precedent for metal fabrication and installation across the board.